Dr. Aisha Spencer holds an undergraduate degree and graduate degrees in Literatures in English and a Post-Diploma degree in Language Education. She has taught in the secondary school system for over 18 years and has been a lecturer in Language and Literature Education for 11 years. She has also lectured in the area of Literatures in English for over 8 years, facilitating students in the areas of Postcolonial Literature, Gender, National Discourse, Ecocritical Perspectives on Literature and foundational courses in the three literary genres. Dr. Spencer has been heavily involved in the training of teachers for over ten years and has functioned in both professional and administrative capacities in the field of Education, and more specifically, Literature Education. She has been involved in both international and national projects which focus on the use of transformative, response-oriented literature pedagogy in both primary and secondary classrooms. She has presented at a number of workshops on Literature Pedagogy, often focusing heavily on the area of Poetry. 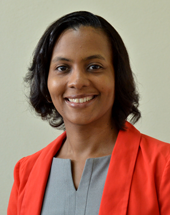 Dr. Spencer is currently Associate Editor for the Journal of Education and Development in the Caribbean (JEDIC) and Assistant Chief Examiner for the CXC Cape Literatures in English Examination. She is also the founder and director of Talk the Poem, Jamaica's first National Poetry Recitation Competition for secondary school students. Gender and nation in Postcolonial Literature; Caribbean Children's Literature; Poetry Pedagogy; Transformative and Response-oriented approaches to the teaching of Literature; The Caribbean female-authored Short Story. to poetry through a hands-on approach to the teaching of poetry in a rural, non-traditional Jamaican high school. In Transforming Learning: International Perspectives. Eds. Ogunkola, B. & Blackman, S. Newcastle upon Tyne, UK: Cambridge Scholars Publishing. through the representation of marginalized cultural realities in Caribbean Children’s Stories. In The Routledge Companion to International Children’s Literature. Ed. John Stephens. (ISBN: 978-1-13-877806-1) London: Routledge. and experience through spaces of interiority in Jamaica Kincaid’s “At the Bottom of the River”. In Faraclas, N., R. Severing, C. Weijer, and E. Echteld. eds. 2015. Envisioning the Greater Caribbean. Willemstad: University of Curaçao and Fundashon pa Planifikashon di Idioma. Caribbean Poetry. London: Commonwealth Education Trust Books. Spencer, Aisha. (2013). ‘The Language of Caribbean Poetry’ in Teaching Caribbean Poetry.